Why Don't Journalist Just Google Todd Standing? It’s a well known feature of Google. Start typing in a search, and Google offers suggestions before you’ve even finished typing. Its called "Google Suggest" or "Auto Complete". What happens when you type Todd Standing? Apparently journalist don't use Google, if they did they would see Todd is associated with the word Hoax, before Bigfoot, and then Bigfoot Hoax. We wont get too technical, but the autocomplete feature in Google works differently then the search results page you see after you click the search button. The autocomplete suggests the most popular keywords typed in the google search box. In other words, most people type "Todd Standing Hoax" when Googling Todd Standing. It goes by many names all over the world including Yeti, Sasquatch, and Bigfoot. No matter the name, the creature has remained elusive to those attempting to prove its existence. A Calgary man who originally set out seven years ago to disprove the species, now fully believes the animal is alive and well in North America. Todd Standing recorded video that he says proves Bigfoot exists. The footage is ten seconds long and recorded a great distance from the animal. 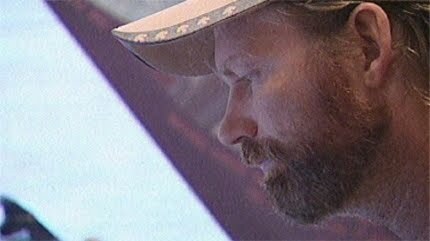 Standing became passionate about showing the species to the world after he first saw a Bigfoot about seven years ago. He was a biologist who didn't believe it existed, but now it's a different story. Standing heads out on 12 excursions a year hoping for a glimpse of the creature. He's learned they're nocturnal. "During the day when the main group sleeps, I believe that there are day watchers that position themselves around the main group," says Standing. "They alert the group if anyone's coming." 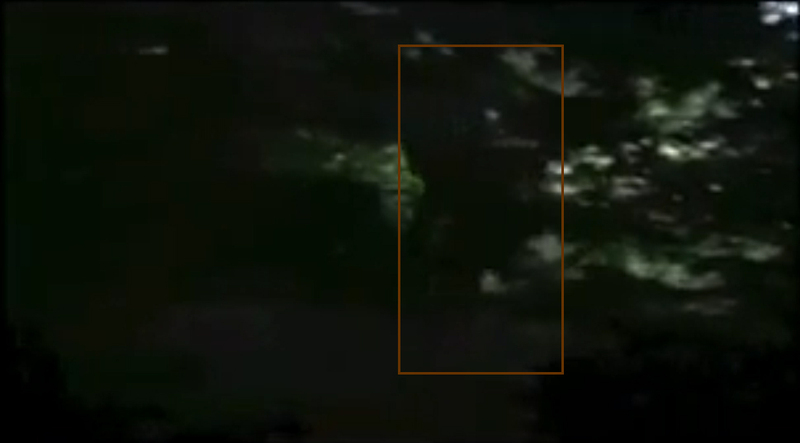 Standing says he captured pictures of this individual running up a mountainside at an incredibly fast speed. "This animal was about seven and a half feet tall, about 500 pounds," says Standing. "If that's a man in a suit he ran faster than any human being could possibly run, never mind with a big bulky suit and large feet sticking out." Standing's Bigfoot excursions last from three to ten days. He doesn't bring a lot of food or get much sleep in that time, and his locations are remarkably close to Calgary. "There's a trail that's right in between Banff and Kootenay National Park," explains Standing. "I follow the creek through there and I take off into the wilderness." "Their habitat is huge. Where they go is enormous!" Standing says despite all of his photos and videos of Bigfoot, the science community will only recognize the species when it can be physically examined. "My goal is when we get a body, when something comes in, the scientists will take over and I'll retire." Until then, Standing says he'll continue to learn more about what First Nations People call Sylvanic, the shadow guardian of the mountain. The Discovery Channel is working with Standing this week on a new series called "Finding Bigfoot" that is scheduled to air this fall. 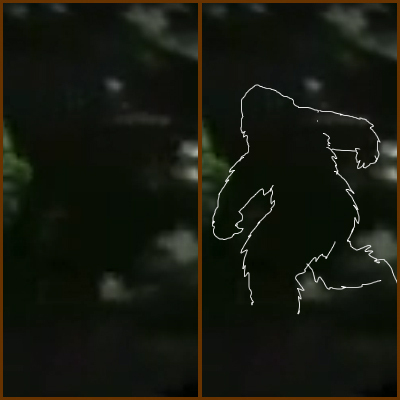 To learn more about Todd Standing's work, visit the Sylvanic Bigfoot Sightings website.